The fall season is all about colors; reds, golds, oranges, and browns. It can be a toss up to see these colors incorporated into a fall wedding, and even more of a gamble to see them incorporated into the bride's attire. So, I've put together a few ideas that I'd consider wearing on my wedding day, some that I'd hope to inspire you to add some fall color into your wedding attire. 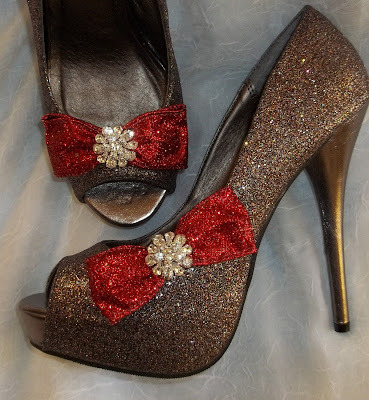 If you're a shoe-alolic like I am, you'll love these brown stilettos with a red bow! What about these gold stilettos with bling on the heel and sole? 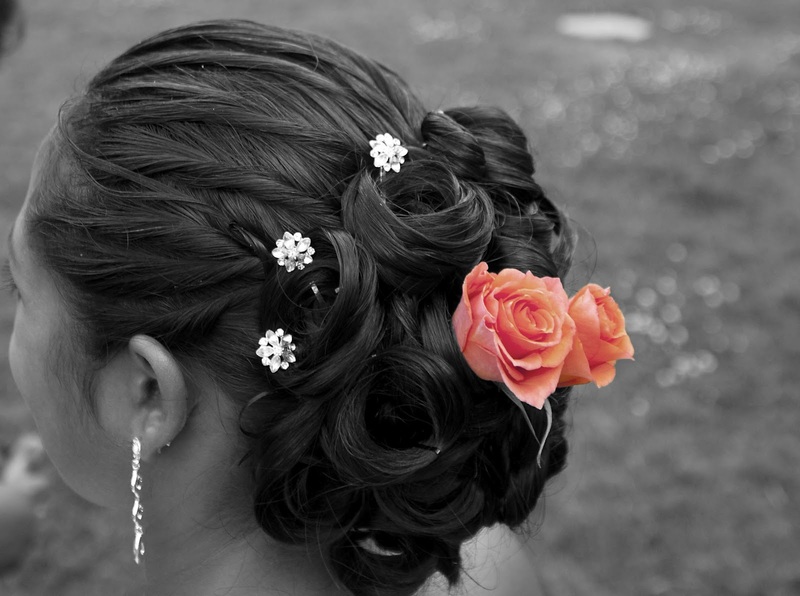 If colored stilettos on your wedding day aren't your thing, maybe adding accessories to your hair for that pop of color may be right for you. 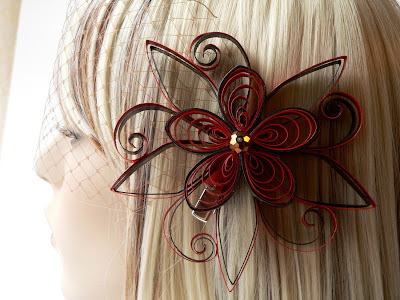 Here are some alternatives to a full veil, while keeping with the fall colors in mind. How cute is this burgundy flower and birdcage veil? Simply perfect for the bride that's non-traditional! If you are more of a traditional bride, how cute is this up-do with the addition of orange roses? Whether or not you choose to add a pop of color to your wedding attire, stick with what fits your style and personality; what makes you most comfortable.